A second harvest is now under way over the stubble left in some western Kansas fields after wheat is cut. That straw represents an added income source for farmers. Some farmers burn the stubble after wheat harvest. Some disk it. Some plant the next crop right into it. But Courtney Wilson, harvest manager for Pacific Ag, wants farmers to know they’re leaving a paycheck out in the field. 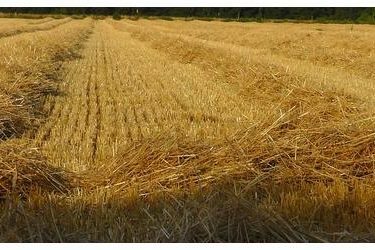 Wilson’s company can take residue left from harvested field and bale it up. It then hauls it to Abengoa’s biomass plant in Hugoton, where it is turned into cellulosic ethanol. Wilson says his company plans to pay out $3 million to southwest Kansas farmers in the 100-mile radius of the facility.